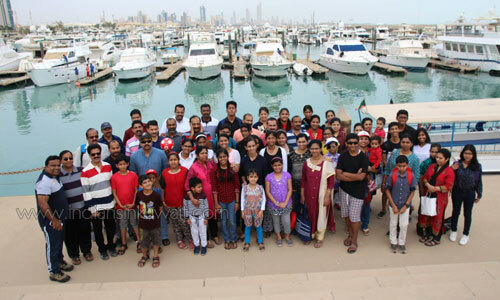 Kuravilangad Deva Matha College Alumni Association (KDMCA) conducted an expedition trip to the Kuber Island of the State of Kuwait. The members boarded on the ship from Salmiya Port and sailed for Three to four hours to reach.. Speed boats took us from the vessel to the island. It is mostly empty but by seeing the lighthouse, we understood our destination. It was a great experience for the team to visit such a clean sea shore with virgin sea shells and many kinds of attractive items to decorate our Guest rooms back home. The journey was so enjoyable with DJ Music, delicious food and various entertainment programmes on board the ship. 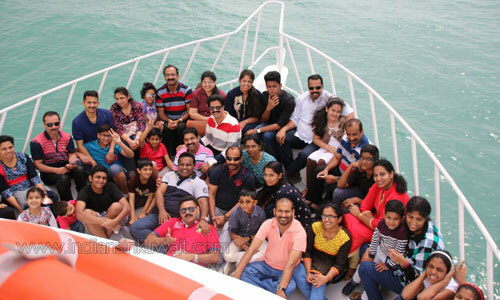 The expedition trip was very informative also as the children could experience and learn the precautions to be taken during journey through Sea. The team also experienced a sea bath on the shores of Kuber Island. The trip was organized by Shri Tomy Ikarettu, the president of KDMCA and Shri. Jubin Mathew, general Secretary and Bobby Patani, the General Convener. We reached back to Kuwait shore by 8:00pm with a great experience of a sea voyage.